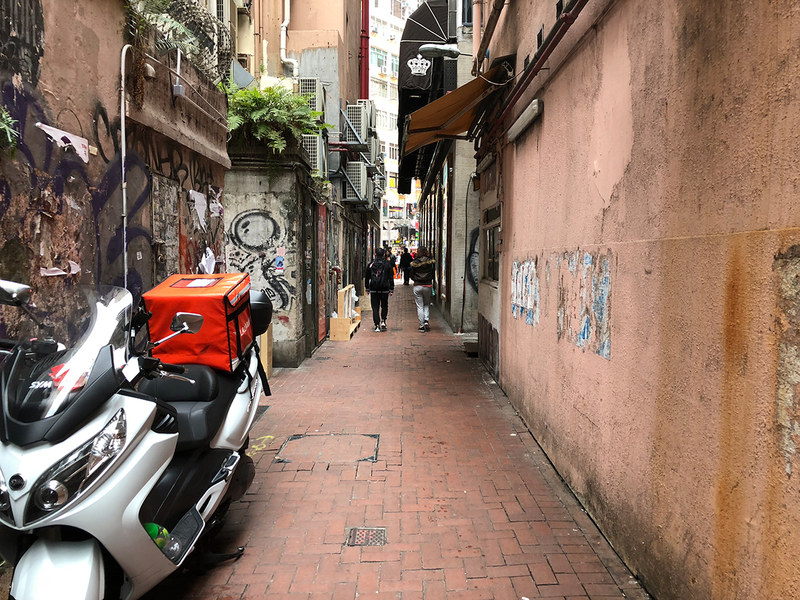 An alley in Hong Kong. After about a day and a half in planes and airports, I arrived in an overwhelming, bustling city. After checking in at the hotel, my first goal was to eat dim sum. There was a dim sum restaurant 100 paces from my front door. It took me a moment to figure out I just had to walk in and approach a server for a seat. And of course I over-ordered. 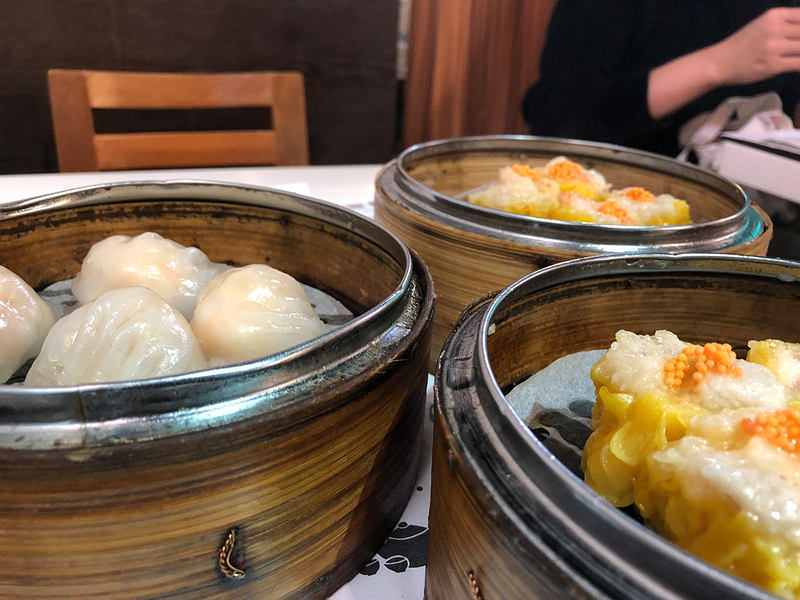 The shui mai was the best I ever had—shrimp, pork and crab roe on top. I managed to burn my mouth the first night in the city. Worth it. After dinner, I didn’t want to go to bed just yet. Not only because my clock was off, but because I WAS IN HONG KONG. I ventured out, looking for a bar. After a few failed attempts to find bars on the map, I stumbled on a place. 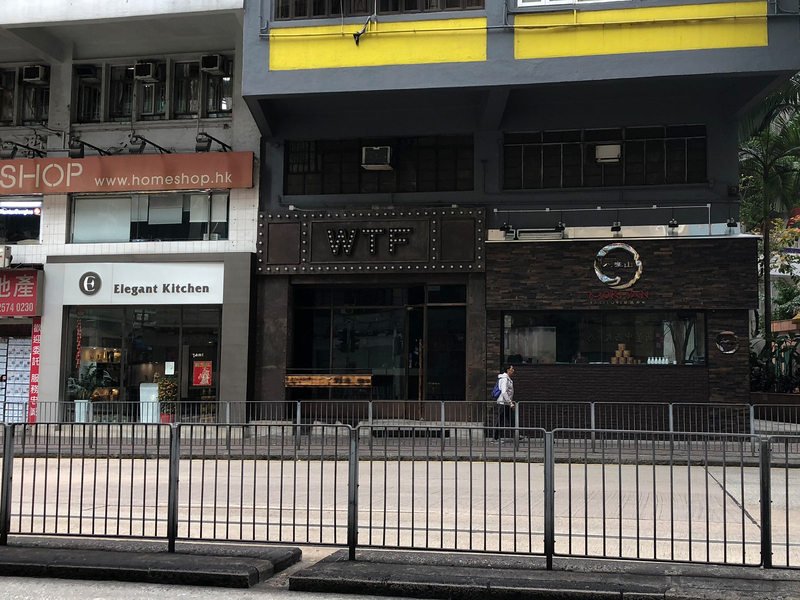 I stumbled on a bar called WTF. Whenever I travel, I always end up finding at least one bar or restaurant I absolutely love. In Innsbruck it was Tribaun. In Nagoya it was Daruma. WTF instantly became my favorite place to hang out. It was here that I made my first friends in the city. However, it was also where I met my nemesis, a drunk Australian gentleman named Tom. At first, Tom was a friendly guy, but his Lex Luthor haircut took over and he uttered a sentence I never thought I’d ever hear. I took it as a compliment, kept drinking and mingled with the other patrons. I drank here every night and I’ll always be grateful for the hospitality I received from Tino, Eddy, Kay, George, Jason and the girl who became known as Mrs. Jason. Every trip, I keep planning too many days in one city. I could visit restaurants all day, but I would become too fat to move. To cure my poor planning, I took a ferry to Macau to explore a new area. I looked for a Portuguese restaurant that was recommended, but with it being Chinese New Year weekend, a lot of places were closed. I didn’t find much else to do, gambling was a bad idea and the heat was killing me so I returned to the ferry after an hour. Boring, right? Macau wasn’t the only place that was hot. I have always had issues with warm weather. It doesn’t take much for me to break a sweat. 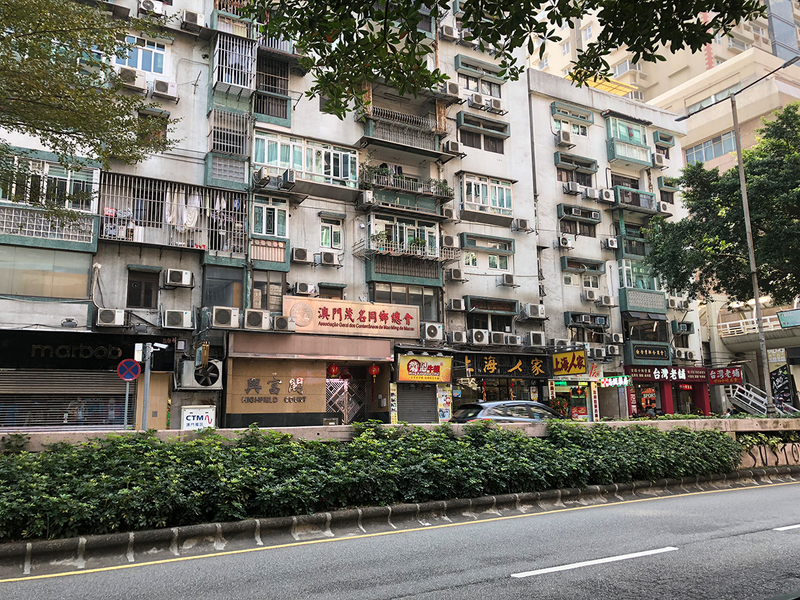 With all the walking combined with the temperatures staying above 60F in Hong Kong, I was sweaty on a daily basis. 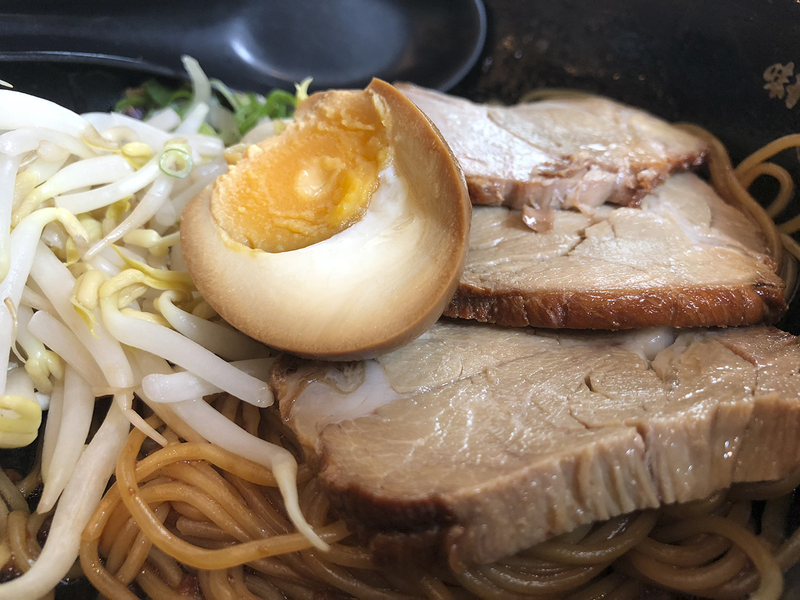 On more than one occasion, I chose to take a break from the weather to sit over a steaming bowl of ramen or ramen adjacent soup. This wasn’t the most intelligent decision, but it was always worth it. Growing up in a Chinese family, I was always exposed to authentic food. One of my favorites is dim sum. I visited a lot of places, but these are my top two. I found this place by chance. I took the train to Tsim Sha Tsui to watch the CNY parade. Unfortunately, it was impossible to see over the mass of people. I walked parallel to the road to find an advantage point, but eventually gave up and started looking for food. What impressed me about this restaurant was the shu mai with black truffle smeared on top. It was definitely one of the most delicious things I have ever eaten. Overall it was a pretty awesome experience, especially with the food. If I lived there, I would definitely spend all of my money on food. Luckily, the food prices are pretty cheap. Unfortunately the cost of living and alcohol are sky high. I will absolutely go back soon.